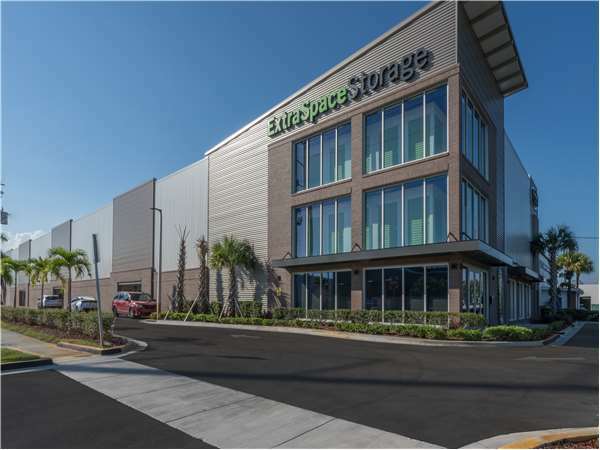 Located at the corner of of S Dixie Hwy and Mayo St, Extra Space Storage serves residents of Hollywood, Hallandale Beach, Pembroke Park, and more. Locals will recognize our facility north of Mardi Gras Casino. Extra Space Storage at S Dixie Hwy offers a wide range of storage units, climate-controlled storage, and exceptional security. We're the self storage partner you can trust in Hollywood! Drive south on N Dixie Hwy. Pass Hollywood Blvd and continue straight on S Dixie Hwy. Our facility is on your right, immediately after Wiley St.
Drive north on W Dixie Hwy. Turn left onto NE 214th St. Turn right onto NE 26th Ave and continue straight on SW 2nd Ave. Pass Pembroke Rd and continue straight on S 22nd Ave. Turn right onto Wiley St. Turn right onto S Dixie Hwy. Our facility is immediately on your right. Drive west on FL-820. Turn left onto S 13th Ave. Turn right onto Washington St. Pass S Federal Hwy and continue straight on Washington St. Turn left onto S Dixie Hwy. Our facility is on your right, immediately after Wiley St.
Drive east on Pembroke Rd. Pass McNicol Middle School and continue straight on Pembroke Rd. Turn left onto S 22nd Ave. Turn right onto Wiley St. Turn right onto S Dixie Hwy. Our facility is immediately on your right.